Curtains, blinds, valances and other window treatments are a big part of what makes an apartment a home. However, if you're like most apartment residents, you probably don't want to spend a lot of money on custom window treatments when you don't know how long you'll be staying at this location. Fortunately, there are a number of ways to get the finished look you desire without spending a lot of time and energy. 1. Hang your curtains high and wide. 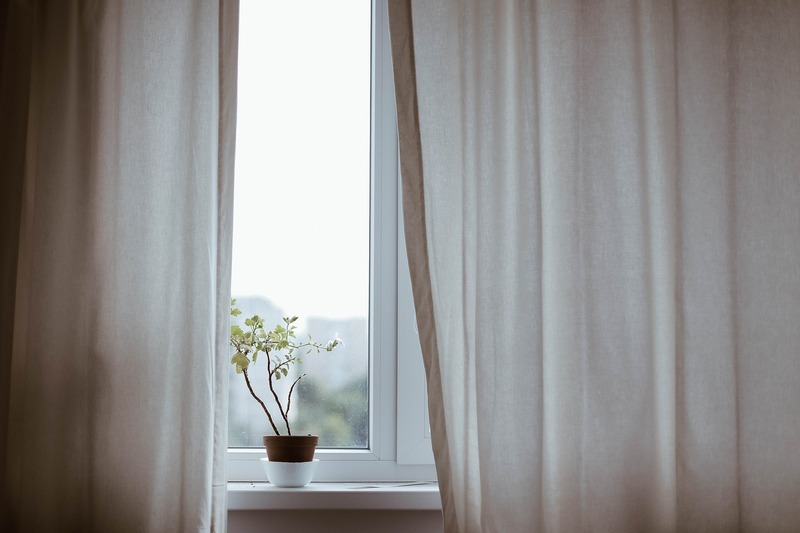 Even smaller windows can look dramatic when you hang your curtains 1 or 2 inches from the ceiling and allow them to drape just shy of the floor. This technique will give your rooms the splash of color they need to look warm and inviting. 2. Mix it up. Designer window treatments almost always feature more than one type of covering. This can be drapes with sheers, blinds with drapes or drapes with a valance, just to name a few combinations. Splurging on multiple window coverings adds drama and depth to your room. 3. Opt for wider blinds. Wider slats look more substantial and give your room a more professional look. While cheaper narrow blinds may be more affordable, they will likely age more quickly and yellow, bend and/or be compromised by your new kitten trying to get close to the window. 4. Use curtains in lieu of paint. While your landlord may frown on your painting an accent wall a vibrant pink or orange, you can use draperies to get this same effect (and even take them with you when you move). Hang colorful draperies from the ceiling to the floor (whether or not there is a window on that wall) to add that color you crave. 5. Match the color of your curtains to your wall color. Choosing the same color for both your walls and your curtains will make your rooms look bigger and more inviting, since you'll have an unbroken swatch of color that extends from wall to wall. Apartment living should be anything but boring. To learn more about renting quality, affordable Greensboro, NC, apartments, contact us today at (336) 288-4337. 2019 Pinnacle. All rights reserved.